Should I join a University sports team or society? Less than two weeks ago you were among the many students waiting nervously to receive their A-level results. Now, in just another two weeks, you will be embarking on the big University move! First of all, we would like to congratulate each of you on your achievements and commitment. In return, we would like to help ease the transition by giving you some insight into University life. We know that many of you will be feeling a little apprehensive about moving away from close friends and family. Some of you will even be feeling the same about leaving the local football club you have trained and grown up with for many years. Just because you can’t take the team with you, doesn’t mean you have to give up on your much-loved hobby. 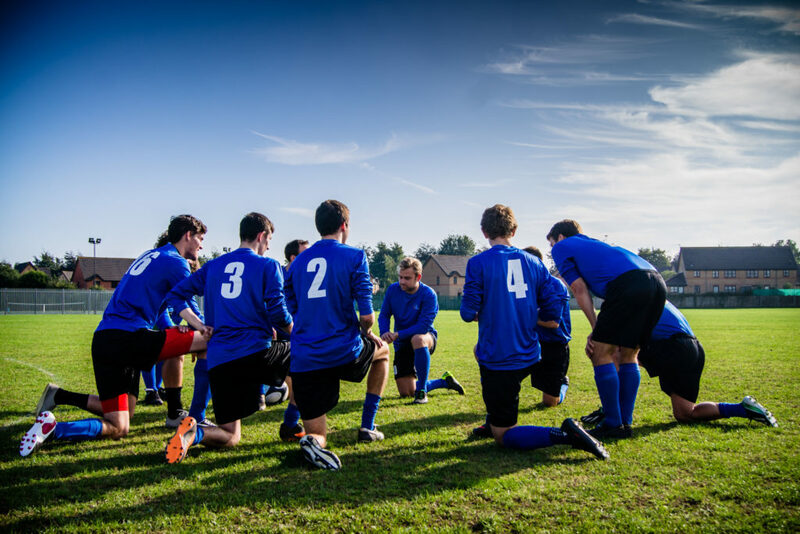 In this blog, you will find everything you need to know about joining a sports team or society at University. All University’s run a fresher’s fair, where you can stock up on enough free stationery and tote bags to see through to your final year. Most Universities will also run a separate sports and societies fair. This is the one not to be missed! You can usually find out where and when these will be held by searching your student union website. Here you will also be able to find a list of all the clubs they have to offer and lots of other helpful information regarding campus life. University sports teams and societies have a lot to offer, and there is definitely something for everyone. From cheese societies to Harry Potter, Law or even Skiing. And if there isn’t one you want to join then why not rally some friends together and create your own? Universities are great like that, and they’re always open to new ideas. At first joining a club may seem daunting, especially a sports team, but you should remember that they cater to all levels of ability and lay emphasis heavily on the importance of having fun and making new friends. So don’t be afraid of the team try outs! Joining a club is an excellent way to broaden your social circles beyond your course and flat mates. You will meet people who share similar interest, some of who will probably become your new best friends. As well as the weekly meet ups or game practice, most clubs run their own social events. Some even run annual trips and most sports teams travel to a sunny location to compete against other University and College teams. Aside from the noticeable impact on your social life, joining a sports team or society can help you develop many personal skills which can be highly beneficial when it comes to finding a job. These include skills such as time management, team work, problem-solving, and organisation. All societies and sports teams are student led, which means there are plenty of opportunities to join a committee or volunteer. Committee roles range from President to Treasurer, Communications or Marketing Officer. Finding a role that fits your interests will help enhance your academic qualification and make a great addition to your C.V.
Of course taking part in most sports will improve your physical health and fitness. However, it can also be a great way to help you relieve stress and maintain a healthy mind. It goes without saying that University can be very stressful, so try your best not to skip practice. It can be easy to get bogged down with your studies, but you may find that the break from the library and that little bit of downtime are just what you need. Remember, don’t be tempted to join a club just because one of your friends is. This is the perfect time to indulge in something you enjoy or broaden your skills by trying out something that has always interested you. All clubs will also require you to pay a signing up fee; this usually covers the cost of things like insurance, kit, and facilities. This price may vary, but don’t be put off by it. We can assure you that it will be one of the best investments you make during your time at University. Vist your University Student Union website to find everything you need to know about the sports clubs and societies they have to offer. Also, why not explore this page – British Univivesties & College Sport. The national governing body for Higher Education sport in the UK. Here you can look at what events are taking place, view the latest scores and news or even find out more about volunteering or sponsorship.